We might ride out to Meadowhall or pace around the city. Or up to the Peaks for the sunset (or sunrise). Or to Concord Park, Whiteley Woods and Forge Dam for a spot of summer loafing. Usually we take it very easy, taking in the views and exploring our city. 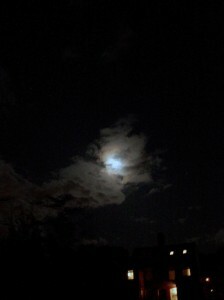 FridayNightide is about big things – like community, the environment and having a good time. If we get separated we’ll just re-group further up. No-one gets left behind, and no-one gets too far ahead. So come along and join us. Sheffield FridayNightRide is a cycle ride around Sheffield. It’s a ride for fun, fresh(ish) air and comradeship. It’s unsupported, it’s about celebrating cycling and celebrating Sheffield. It’s not a demo or a protest. It’s not anti-traffic. Whoever you are, whatever your bike, you’re welcome to join the FridayNightRide. 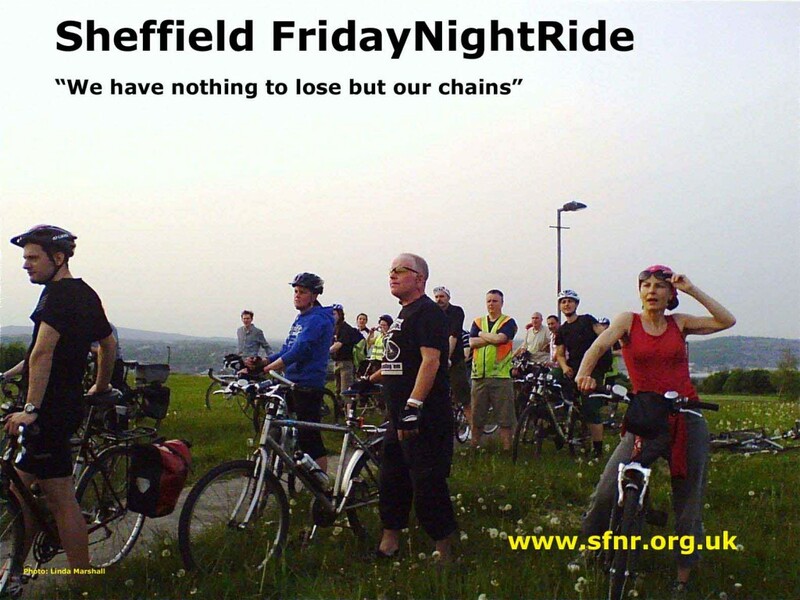 Sheffield FridayNightRide is not a club or a society; there is no formal membership or sub. It is a mix of cycling, interest in one’s city and being sociable. It is just something I and others organise on behalf of CycleSheffield and all are welcome to join in on the rides. If you have an idea for, or want to organise a ride then let me know. We have a standing ad in the on-line Sheffield Evening Telegraph, updates on this website, Facebook at Sheffield FridayNightRide and on Twitter @sheffieldfnr. Send Mick an email sheffieldfridaynightride@gmail.com, to get on the email list. He’ll get back to you. Promise. Got an idea for a theme for a ride? Got a route? Seen something better? Send a comment with your suggestions. All routes we take end up on this website.